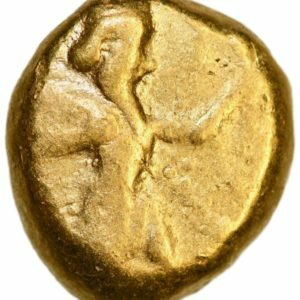 Persia, The Achaemenid Empire, daric (gold!) dated 485-420 BC, struck under the rule of King Darios I and King Xerxes II in Sardeis. Grading: F. Reference: Carradice Type IIIb, Group A/B (pl. XIII, 27). 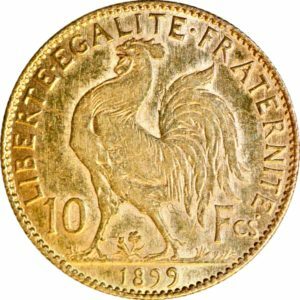 Weight: 8,34 g.
France, 20 francs (gold!) 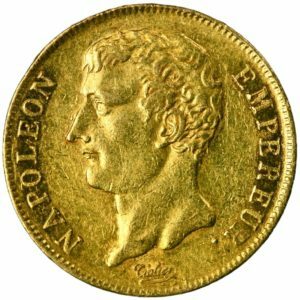 dated AN 12 (1803/1804), struck under Emperor Napoleon in Paris. Grading: VF. References: KM 651, Fb. 487, Gadoury 1021, Mazard 417 og Schl. 6. 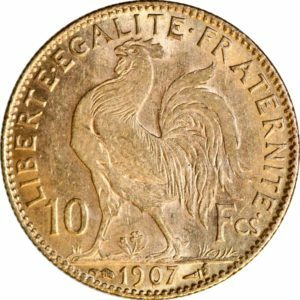 Weight: 5,81 g.
France, 10 francs (gold!) dated 1911. Grading: VF/XF. Reference: KM 846. 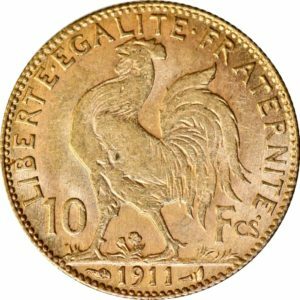 Weight: 3,23 g.
France, 10 francs (gold!) dated 1907. Grading: VF/XF. Reference: KM 846. Weight: 3,23 g.
France, 10 francs (gold!) dated 1899. Grading: VF. Reference: KM 846. 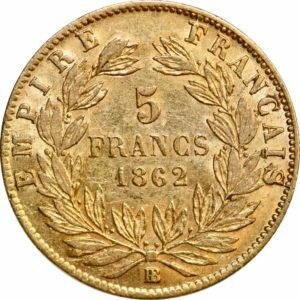 Weight: 3,23 g.
France, 5 francs (gold!) 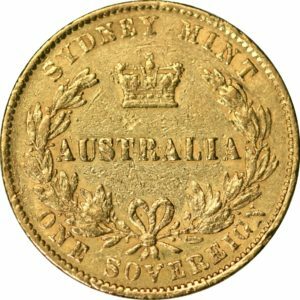 dated 1862, struck under Emperor Napoleon III. Grading: VF. Reference: KM 803.2. 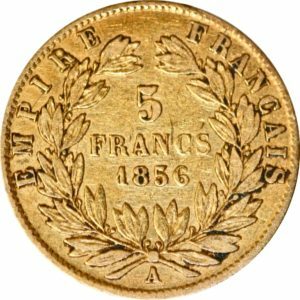 Weight: 1,6 g.
France, 5 francs (gold!) dated 1856, struck under Emperor Napoleon III. Grading: VF. Reference: KM 787.1. 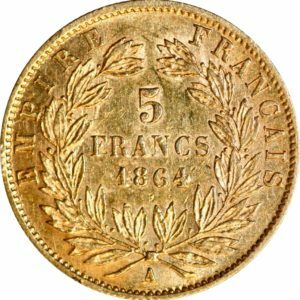 Weight: 1,59 g.
France, 5 francs (gold!) dated 1864, struck under Emperor Napoleon III. Grading: VF. Reference: KM 803.1. 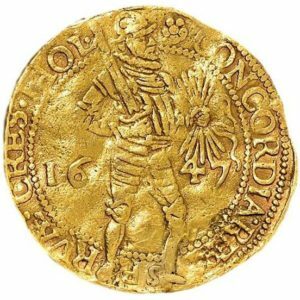 Weight: 1,61 g.
Netherlands, double ducat dated 1647, struck in Holland. Grading: F/VF (rep.). Reference: KM 35. 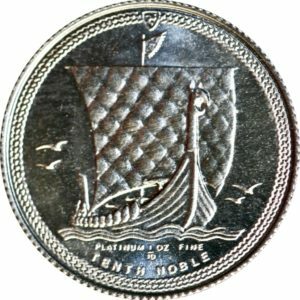 Weight: 6,65 g.
Isle of Man, 1/10 noble (platina!) dated 1985, struck under Queen Elisabeth II. Grading: XF / Mint State (light scratches obv.). Reference: KM 153. Weight: 3,11 g.
Sweden, 5 kronor (gold!) 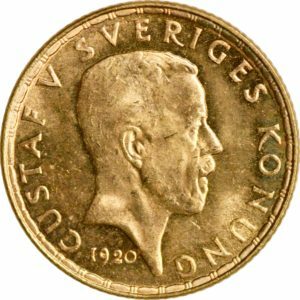 dated 1920, struck under King Gustav V. Grading: XF / Mint State. Reference: KM 797. Weight: 2,25 g.